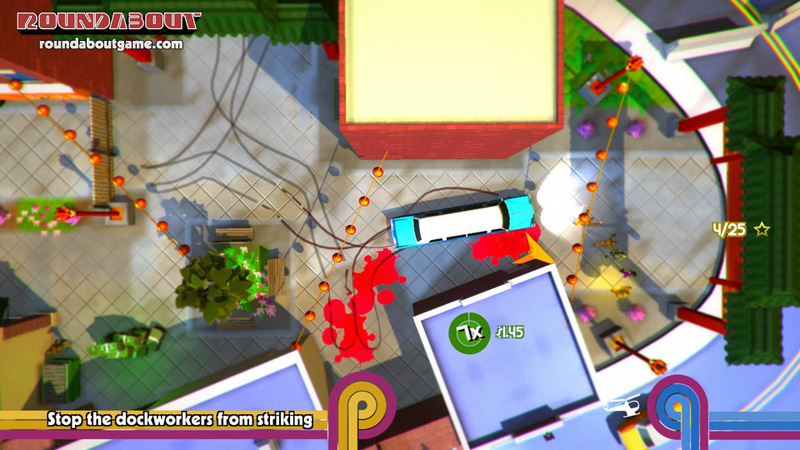 Exclusive Q&A with Dan Teasdale, CEO of No Goblin and Xbox One title, Roundabout. It was recently announced that Roundabout would be coming to Xbox One. We took that chance to fire some quick questions at the Creative Director behind the game. Dan Teasdale, CEO and Creative Director at new indie firm No Goblin, is the go-to man for anything Roundabout based. He’s got a hell of a track record with past games but in this case he’s the main man to blame should things go wrong, which in our eyes makes him the perfect person to grab a Q&A interview with. So you know what? We did! So, sell it to us….Why should Xbox gamers buy Roundabout? 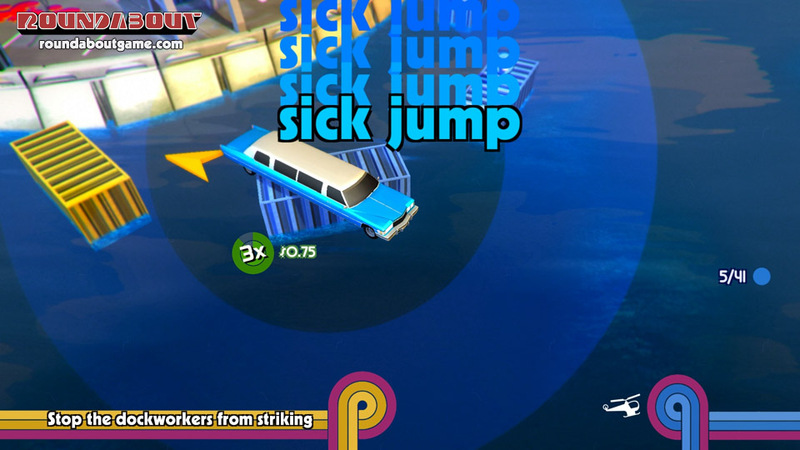 Roundabout is an open world driving puzzle game where you control a constantly rotating limousine. 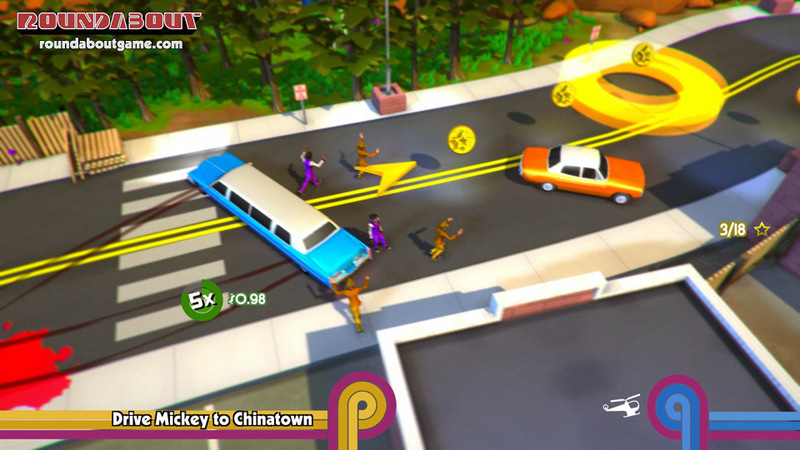 Xbox gamers should check it out because it’s the only way they’ll get a chance to experience the ’70s through the eyes of a revolving limousine driver. Where did the idea come from to focus a game on the world’s first revolving chauffeur, Georgio Manos? Georgio’s story is one that’s really incredible, and one that I’m shocked that nobody has covered before. When you hear about how Georgio constantly spun wherever he drove, the tricks that he had to do to pull such a feat off, and the impact it had on his family life, it was impossible for us to not want to turn that into a game that people could play and experience for themselves. We think it’s pretty safe to say we’ve never seen anything like it before, but were there any games you looked to for inspiration whilst creating Roundabout? There are a bunch of games we’ve taken slices of inspiration from. The spinning originally came from a Japanese GBA game called Kuru Kuru Kururin, but we’ve evolved the game from that initial stick idea pretty dramatically. You can pick up passengers similar to Crazy Taxi, there’s an open world you can navigate about and explore, there’s a scoring system that’s inspired by Tony Hawk’s manual system, there’s even some bonus features that are inspired by some of the earlier games I’ve worked on! We started No Goblin in June last year, and we’ve been working on Roundabout ever since. Things have been speeding along incredibly quickly, which is both fantastic and unnerving to my old game developer self! I think our biggest hurdle has been running a business, making a game, and doing promotional work all at the same time. Did you know that these are all full time jobs by themselves? Who’d have thought! Man, that’s a hard one, I’m proud of so much of what we’ve done in this game so far with such a small team. If I had to pick one thing, I’m pretty happy that it’s really hard to pigeonhole the game into a specific genre. I’ve always wanted to make games that are new experiences, and the best feedback that we’re on the path to accomplish that is a complete inability to accurately fill out a genre checkbox for our game when putting it on services like Steam. Are we likely to see any DLC for the game? We’re not planning DLC for Roundabout. I don’t hate DLC (after all, I worked on the game that had the most DLC ever released in video game history! ), but Roundabout is a self contained experience that I don’t think naturally suits large chunks of paid content being added afterwards. Having said that, we’ll definitely be improving Roundabout after release, and those changes will be free to anyone with the game. Will the Windows, Linux, Mac and Xbox One versions all be identical or do the different platforms lend themselves to differing features? The base game is the same across all platforms, but there are some crazy extras I think we can add to make each platform shine. Some of the deeper features in the Game DVR system on Xbox One have yet to be exposed by games yet, and it would be pretty neat to be the first game to do so. PC, Mac and Linux all have some pretty great opportunities from being both a content creation and game playing platform that we’d like to explore – like most people, I have a Team Fortress 2 hat problem too. With that in mind, are you planning on releasing to all platforms at the same time or will we see a staggered release pattern? We’re looking at releasing PC, Mac, Linux, and Xbox One all at the same time. If things go well, I’d love to bring Roundabout to more platforms down the road. Would we still be seeing Roundabout on our Xbox consoles were it not for [email protected]? How has the ID programme helped you? Without publishing models like [email protected], no, we wouldn’t exist. We’re a small startup team, so asking us to pay tens of thousands of dollars for a console grade Unity license is a hard sell. [email protected] taking care of our license and dev kit costs means we can spend that money on making the game better, or buying booth space at PAX East, or doing a professional FMV video shoot – all things we’re doing with our game budget instead of paying AAA-esque fees and dues. And finally, are there any more Xbox titles in the pipeline for No Goblin? A Roundabout 2 perhaps? 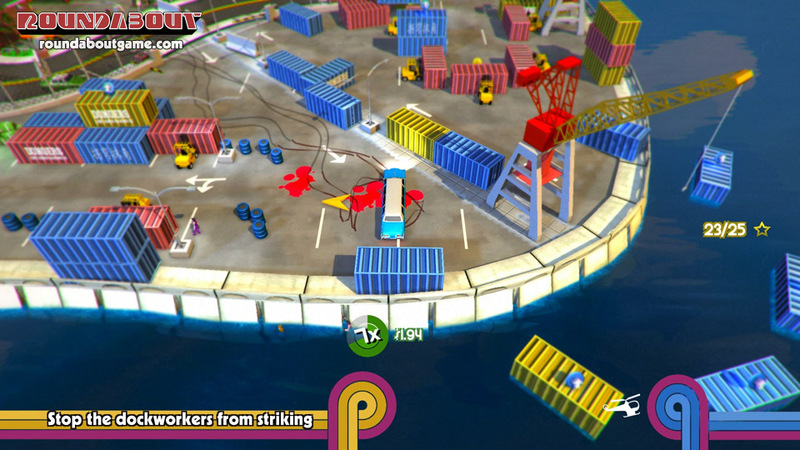 We’re focused on getting Roundabout out by the end of the year at the moment. There are a couple of neat ideas for what’s next, but you’ll have to stay tuned until after Roundabout is out to find out about them! Here at TXH we’re certainly looking forward to what Roundabout will bring to the table later this year. Thanks go out to Dan for agreeing to this Q&A and you can catch him and his team over at No Goblin, no doubt hard at work in making Roundabout something special for Xbox One. Previous articleHave Xbox invited YOU to test the next system update?